Alcohol abuse is a problem that affects many Oregon residents. According to the National Surveys on Drug Use and Health, 67,800 Oregon residents aged 12 or older admit to binge drinking alcohol; 9,300 of these residents are individuals between the ages of 12 and 20. 20,600. 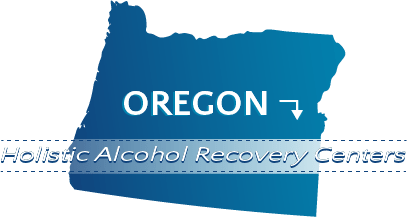 Oregon residents aged 12 or older have sought treatment in the last year for alcohol dependence and abuse, however, an estimated 19,000 need treatment but are not currently receiving any. Mental health concerns, such as serious psychological distress or a major depressive episode, can also accompany alcohol abuse. In Oregon, 20,400 individuals aged 18 or older have experienced at least one major depressive episode in the last year, and 31,100 report experiencing serious psychological distress. For individuals who are struggling with alcohol abuse, as well as individuals who are abusing alcohol and have a mental health concern, holistic alcohol treatment centers offer hope for sobriety and better health. Holistic alcohol treatment programs are based on the belief that long-term sobriety is best achieved by not only addressing the physiological aspects of alcohol abuse, but also the mental and emotional issues underpinning this abuse. Holistic treatment programs are designed to nourish the whole body and provide a supportive, caring environment in which program participants can achieve a healthier sense of self and well-being. While specific offerings may vary from program to program, in general, most holistic alcohol addiction treatment programs offer a wide variety of activities to build self-esteem, emotional well-being and nourish spirituality. Examples of treatment options include yoga and meditation, spiritual counseling, outdoor adventure activities, equine therapy, art therapy, and more. Holistic alcohol treatment programs recognize that there is no single “right” path towards sobriety. Consequently, many holistic programs are offered as a complement to traditional 12-step programs like Alcoholics Anonymous. Dual diagnosis care for individuals with mental health concerns is also important. Some individuals abuse alcohol as a means for escaping unresolved emotional trauma or mental health concerns. Holistic treatment programs are designed to help these individuals confront and deal with their feelings in a constructive and productive manner that supports long-term sobriety. Cascadia Behavioral Healthcare has several locations in the greater Portland community, including Woodland Park and Garlington. All three of Cascadia’s locations offers holistic rehabilitation treatment in conjunction with dual diagnosis treatment for recovering alcoholics who also have a co-occurring mental health condition. The centers also provide specialized care for women, men, seniors, gays, lesbians, and individuals who need ASL or hearing assistance. Court-ordered alcohol treatment for DUI/DWI offenders is also available. CODA Inc. Gresham Recovery Center offers holistic rehabilitation treatment along with residential short-term inpatient treatment (30 days or less) and residential long-term inpatient treatment (60, 90, or 120 days). Dual diagnosis treatment, outpatient counseling treatment, and court-ordered alcohol treatment for DUI/DWI offenders are available. CODA also provides addiction treatment specifically for pregnant/postpartum women and residential beds for clients’ children. The DePaul Treatment Centers Inc. Adult Services programs include holistic rehabilitation treatment, dual diagnosis treatment, residential short-term inpatient treatment (30 days or less), and residential long-term inpatient treatment (60, 90, and 120 days). Specialized care offerings include court-ordered alcohol addiction treatment for DUI/DWI offenders, addiction treatment for gays and lesbians, addiction treatment for women, and addiction treatment for men. If you are struggling with alcohol abuse or know someone who is, the right holistic treatment program can make a significant difference when it comes to long-term sobriety. With so many excellent holistic alcohol treatment programs in Oregon, however, selecting the right program is not easy. The experienced, compassionate team at AlcoholTreatment.net is here to help you in your journey. With the right treatment program, long-term sobriety is possible. Contact AlcoholTreatment.net and take the first step to sobriety today.